Xanthi! In Thrace, on the road from Thessaloniki to the east! The city with the thousand colors, as it is called! 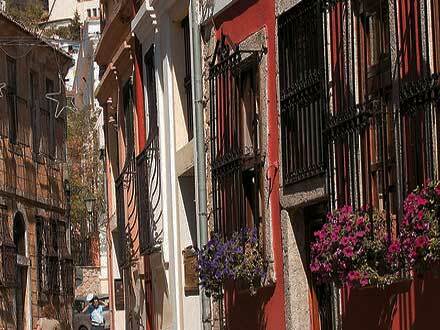 In the center of an area of great ecological and cultural interest! 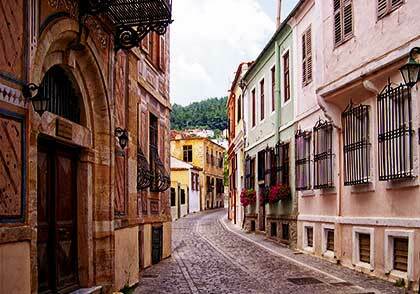 A trip to the city of Xanthi, with its modern life, good food and the famous sweets! An unforgettable walk through the Old Town, one of the most beautiful traditional residential sites in Greece, and a visit to the famous tobacco storehouses, industrial architectural monuments of the 19th century. And if it is a Saturday, a stroll in the famous bazaar! And after, a tour from the wonderful scenery of Nestos River to the mountainous beauty of the Western Rhodope, and from the ancient Abdera to Porto Lagos and the lake Vistonida! The region of Xanthi is located between the regions of Kavala and Drama in the west and the region of Rhodope to the east. The soil in two thirds is mountainous. To the north extends the mountain range of the Western Rhodope, and to the south the plain of Xanthi up the coast of the Thracian Sea. In the west, Nestos River flows, a limit with the area of Kavala. 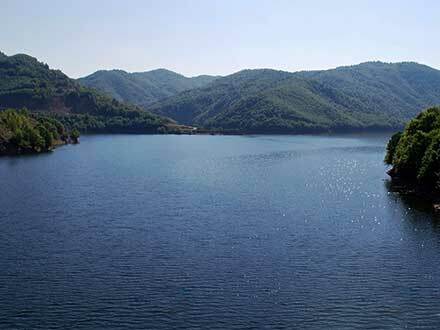 To the east, a limit to the Rhodope region, close to the coast, is the lake Vistonida in the bay of Porto Lagos. The lake and the bay are separated by a narrow land, communicating with small canals. The entrance of the bay – otherwise, Vistonikos Bay – has an opening of 7 nm. The distance from the entrance to the cove, where it is the port of Porto Lagos, is 5 nm. 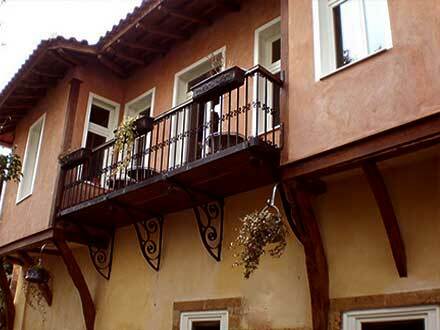 The city of Xanthi is built at the foot of Rhodope, at the beginning of the plain. It is the administrative, financial and commercial center of the region and is growing constantly. Currently it has 56,000 inhabitants. The Old City is declared a preserved settlement. It is crossed by the river Kosynthos, which stems from the Koula Mountain and ends in the northwest of Lake Vistonida. 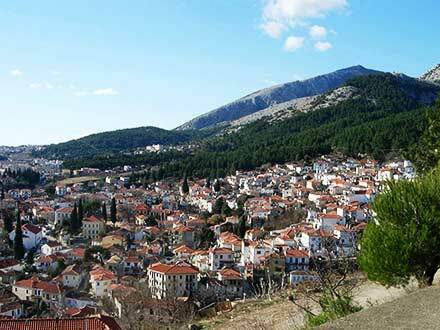 We can go to Xanthi by car and train; also, by plane from the nearby airport at Chrysoypoli of Kavala. The main road is the Egnatia Highway. Vertical roads lead to the northern border between Greece and Bulgaria, as well as at the airports and ports of Kavala and Alexandroupolis. Buses connect the city of Xanthi with the other cities of Greece, as well as with the towns and villages of the region. KTEL of Xanthi, tel. : 25410 22684. 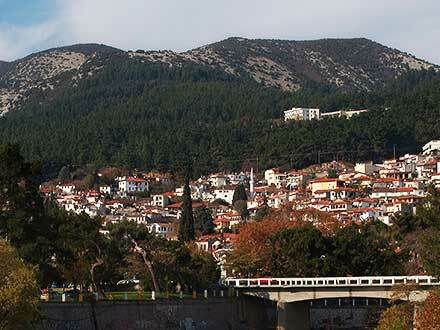 Xanthi is linked with daily rail service to Thessaloniki, Athens, and Alexandroupolis. The city's railway station is at the end of Railway Station Street. Tel. : 25410 22581. The airport “Alexander the Great” at Chrissoupoli of Kavala is located 35 km southwest of Xanthi. Tel. : 25910 23601. Xanthi offers to the visitor all the facilities for a pleasant stay, with several hotels and many restaurants, taverns, cafes and bars. Outside the city, there is a hotel in the Pegadia, 10 km from Xanthi, where is located the modern sports center of the football team Skoda Xanthi, which participates in the Greek Super League. Hotels are also in the coastal zone – Abdera, Porto Lagos, Mandra and elsewhere – near Nestos River, in Stavropol, Komnina and Toxotes, and in the western mountainous area at Ano Karyofito, Lykodromio and Livaditis, famous for its beautiful waterfall. 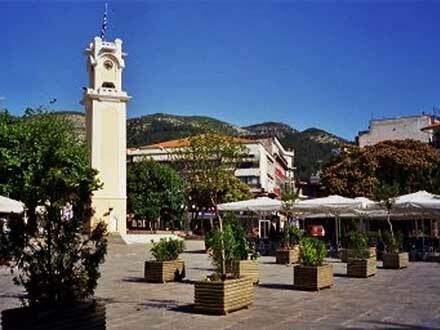 Xanthi has rich market and is famous for its cuisine and sweets – the carioca, the saragli and more. Every Saturday at the Bazaar one can find everything, but also can enjoy the traditional ambience. In ancient times, various Thracian tribes lived in the area – the Vistones in Lake Vistonida, the Satraei in the mountain and others further west. The principal establishment of the Satraei was in Kosynthos River, at the entrance to the mountain region. It was called Para (passage). Later it was named Topiros and during the Roman era, after 100 BC, the settlement became a town. During the Byzantine years, in 549, was destroyed by barbarians, but was rebuilt and fortified by Emperor Justinian. It was destroyed again in the 8th century, but it was rebuilt with the Latin name Roussio. In 879 was first mentioned by the name Xanthia and in the 13th century was a great and fortified city. In 1385 it was conquered by the Turks with the whole Thrace. Over time, the cultivation of tobacco was developed, and the famous variety of the region “Basmas” brought wealth and prosperity. The development was interrupted during the Greek Revolution of 1821, when many residents were imprisoned or killed. In 1829, two successive earthquakes caused major damage. But Xanthi was rebuilt quickly. The reconstruction during the period 1830 – 1845, was the work of artisans from West Macedonia and Epirus. The second phase of development of today's Old Town began after 1870, combined with the new period of economic prosperity, while in 1891 the railway line of Thessaloniki – Constantinople was completed. 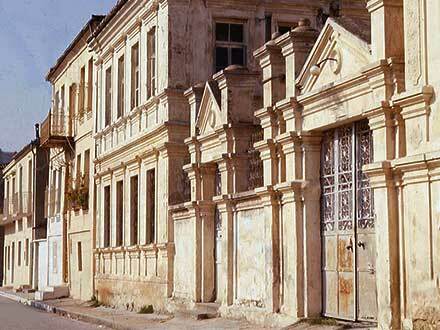 At that time there were in Xanthi consulates of Greece, Italy, France and Austria-Hungary. 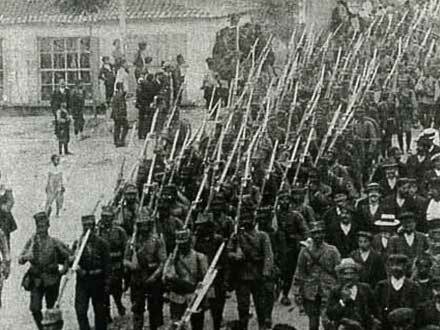 During the First Balkan War, Xanthi was conquered on November 8, 1912 by the Bulgarians. In the Second Balkan War, the Greek Army entered the city on July 13, 1913, but with the Treaty of Bucharest on July 28, the whole Thrace was ceded to Bulgaria. After the defeat of the central empires in World War II, the city was released on October 4, 1919. With the Treaty of Sevres, on July 28, 1920, Western Thrace was incorporated in Greece. During the Second World War, the city was again under Bulgarian occupation. It was released on September 14, 1944 and took the road again. Since the early 21th century, the town is developing continuously. 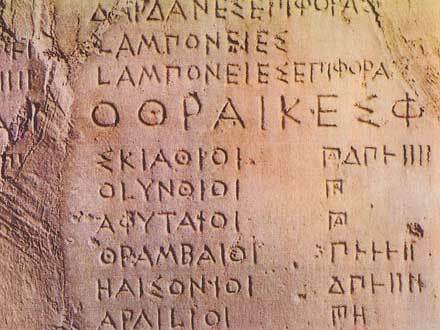 Very important for its evolution is the existence of the Polytechnic School of the Democritus University of Thrace. Xanthi is the birthplace, among others, of the great Greek composer Manos Hatzidakis (1925 – 1994) and the great folklorist Melpo Merlie (1889 – 1979). Xanthi, economic, commercial and educational center of the region, is a dynamic city with a multicultural character. Daily life, service, market, cultural and sport events, create an image of vitality, enriched by the students of the Polytechnic School. On the one side is the modern city, with its squares and shops, taverns, cafes and bars, and on the other side, the Old City, a jewel of architecture and tradition. The main square, one of the principal attractions, was designed in 1870. In the late 1880s, the big clock was built, the town's landmark. Near there, at the Commerce Square, every Saturday, the Bazaar takes place; fruits and vegetables, herbs, traditional foods, household products, textiles, handmade art and much more. A folk festival with oriental color and a folklore character! The first references on the bazaar date back to the 15th century. By 1920, it was held every Sunday at the central square. It is considered the largest outdoor bazaar in northern Greece and attracts visitors from many other places. There are also the Museum of Natural History, the History Museum, the Museum of Children's Art, the Tobacco Museum and the Municipal Art Gallery, which has the name of the painter of the city Christos Pavlidis (Antalya, 1913 - Xanthi, 1998). In the Old City is the Folklore Museum. In Kimmeria, 4 km east of Xanthi, is located the Polytechnic School, and in Pegadia, 10 km southeast, the facilities of the football team Skoda Xanthi, participating in Super League – an ultramodern stadium and training center. Near Freedom Square, at the entrance to the city from the railway station, there are the famous tobacco storehouses, large buildings from city’s heyday, making up one of the finest sets of industrial architecture in Greece. The first tobacco storehouses were built after 1860 and were single-storey. Much larger were built in the late 19th and early 20th century. They formed a special district, southeast of the Old City, close to road and rail. Then the area was flooded frequently and was not suitable for habitation. The land was offered, however, to construct basement areas, necessary for tobacco storehouses. There are 57 buildings, gradually exploited, housing administrative services and cultural activities. An adornment of Xanthi, on its north side, the Old Town is one of the most beautiful traditional residential groups in Greece. Paved narrow streets and small squares compose a labyrinthine among traditional and neoclassical houses with sculptured doors and courtyards with flowers. The walk takes us to the 19th century, when the city began to be rebuilt after the earthquake of 1829 by artisans who came from West Macedonia and Epirus. Beside the traditional architecture, neoclassical western style mansions, properties of tobacco merchants of the time, remind that the city was then an urban center, which reflected the prosperity and contacts with the West due to the highly sought after tobacco. In 1976, the Old City was declared a protected settlement. One thousand two hundred buildings have been preserved. One of the most beautiful buildings, old tobacco merchant mansion, houses the town hall. In another wonderful building, close to Cathedral Square, is the Folklore Museum. 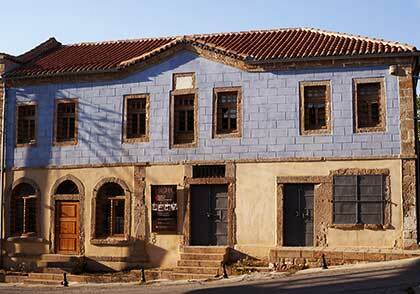 The building, of Macedonian architecture, was built in the mid 19th century, with wall paintings and rich wooden and carved decoration inside. In the museum, are presented collections with textiles, embroidery, jewelry, Thracian costumes, utensils, agricultural tools and more. Above the town of Xanthi, northeast, is the monastery of Panaghia Archangeliotissa, at an altitude of 160. It took its current form in 1841, but is mentioned since 1559. 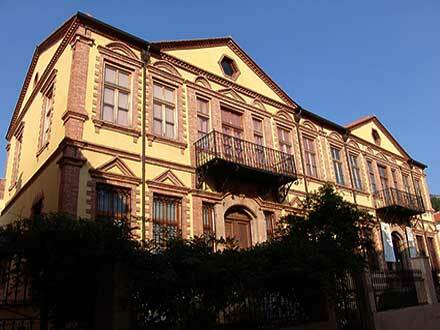 In the eastern part it is housed the Ecclesiastical Museum of the Metropolis of Xanthi. North, at an altitude of 170, is the monastery of Panaghia of Kalamou (reed), among tall trees above the gorge of Kosynthos River, with wonderful views of the plain. It was founded in the 11th century. According to tradition, the icon of Panaghia (Our Lady) was found in the reeds (kalamia) on the river Kosynthos, and so the monastery took its name. Northwest of Xanthi, at an altitude of 150, is the monastery of the Holy Archangels, in a forest of pines and acacias, under the Byzantine fortification of Xanthi. 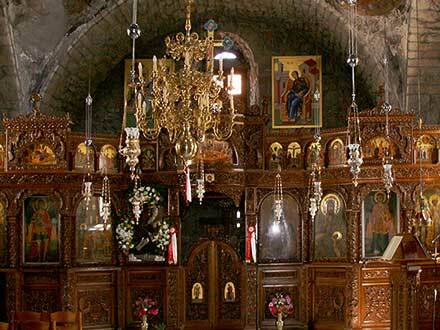 It was built in the 16th century and in its church there are beautiful murals and rare icons. 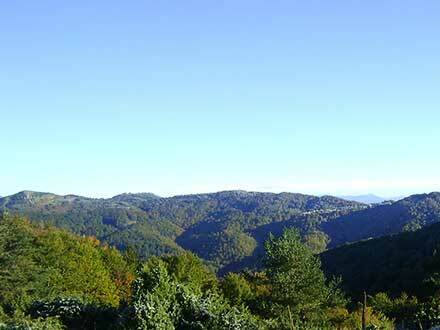 The mountainous region of Xanthi is full of natural beauties. The mountains Chaidou and Koula are part of the Rhodope Mountains; the highest peak is Gyftokastro, at 1,827 m. An area of 32,000 acres belongs to the network NATURA and is protected as a monument of nature, with forests of oak, beech, pine, birch and rare plants. The mountain Chaidou is one of the most important habitats of large mammals, such as bears, wolves and more. It is also a refuge and breeding area for many bird species. 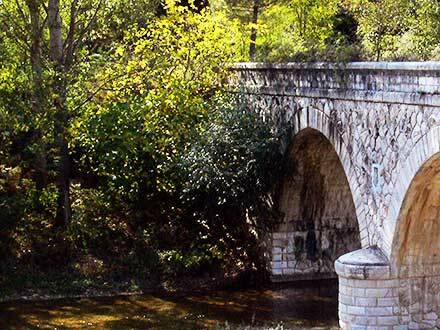 In the region of Xanthi there are 35 stone arched bridges, most built in the 18th and 19th century by artisans from Epirus. They are found mainly in the mountains, on the rivers Kosynthos and Kompsatos. Twelve of them have been listed. North of the city are the villages of Echinus, which maintained their language and traditions, and to the northwest, toward the Nestos River, the Nestochoria (villages of Nestos), rural villages which flourished with the cultivation of tobacco, but saw their population declining in the more recent years. On this side is the waterfall Livaditi; the water falls from a height of over 35 meters. The area is ideal for climbing, course in canyons and caving. South, at 25 km from Xanthi, is the settlement of Abdera and further south the site of the ancient city of the same name. On the coast, lies the village of Skala. The current port, at the site of the ancient harbor, is an anchorage for yachts and a place for amateur fishermen. Around, leeward bays and beautiful beaches. 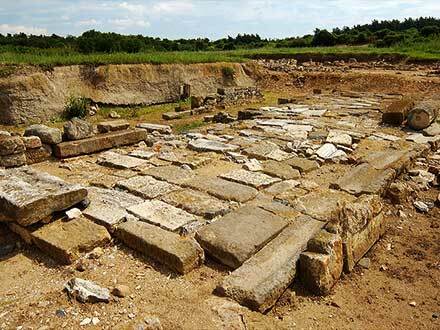 Abdera was one of the most important ancient cities in Thrace. It was founded in 665 BC by colonists from the city of Clazomenae in Asia Minor, but the invasions of the locals, and soil conditions had prevented its development. In 545 BC it was colonized again from the city of Teo in Asia Minor. The new city prospered, became an important artistic center and was the birthplace of great philosophers such as Democritus, Protagoras, the Leucippus and Hecataeus. In 356 BC it was conquered by Philip the 2nd. The silting of the river Nestos forced the residents to settle a little further south. The new city was built according to the Hippodamian system, with the houses in blocks. It had strong walls, acropolis, theater and two ports. In 170 BC it was conquered by the Romans. But decline came and in the 4th century AD the inhabitants settled on the hill of the citadel. The new settlement was named Polystylon because many columns (styli) were distinguished in the ruins of the ancient city. The area remained inhabited until the 14th century. The excavations began in 1950 and continue with a parallel work for restoration and maintenance. From the first city, the northern part of the wall and one residence are excavated. From the period of great prosperity, the wall, a sanctuary of Demeter, a boathouse and residences are preserved. Important monuments are the area of the West Gate, the wall of the 4th century BC, a house of the classical era, with a mosaic floor with dolphins, and a Roman villa with colonnaded paved courtyard. Also, port works have been identified at various points - three on the land and two on the coast. 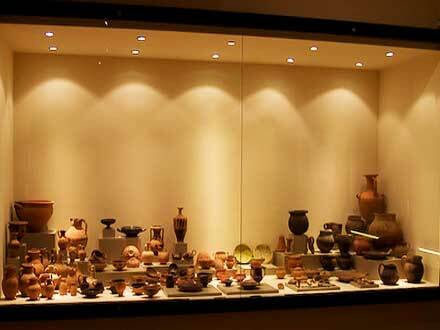 Finds from the excavations can be seen in the archaeological museum. There is also a folklore museum, in a building of the 19th century. The last ten days of July, the cultural events “Democritus” take place, lasting five days. One of the most beautiful walks! 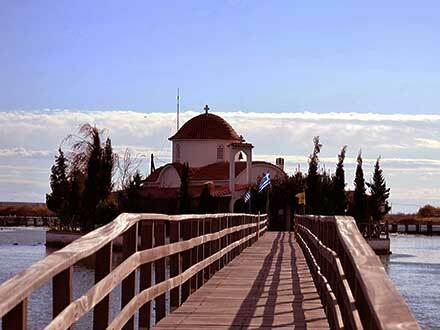 Southeast of Xanthi, in Porto Lagos and Lake Vistonida! The lake Vistonida is located between the regions of Xanthi and Rhodope, in the bay Porto Lagos – or Vistonias, as it was the ancient name of the area. The lake and the bay are separated by a land, created by the silting of rivers and sea currents, and communicate with three channels; so the lake has the characteristics of a lagoon with brackish water. The lake has an area of 46 sq km, greatest length of 12.5 km, greatest width 7 km and an average depth of 4 m. It is fed by the rivers Kosynthos, Kompsatos and a smaller river. The shallow waters are rich in fish, as shown by the many fish farms. Vistonida is one of the most important wetlands and belongs to the network NATURA 2000. About 260 species of birds have been identified, some of which are rare or endangered. 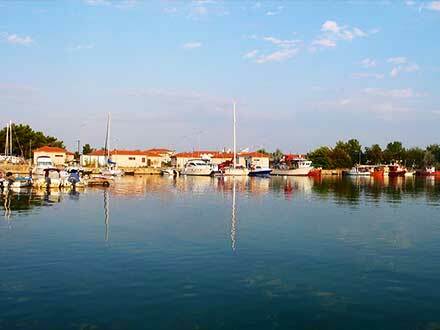 Porto Lagos, at 26 km from Xanthi, is a picturesque fishing settlement, with nice fish restaurants. The port is anchorage for fishing boats. Here the products of the region are loaded. (Port Authority, tel. : 25410 96666). In Porto Lagos there is an information center for the local ecosystem. Tel. : 25410 96646. 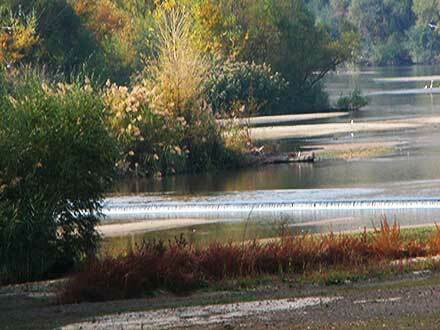 Nestos is one of the most beautiful rivers, and an ecosystem of great ecological value. The river forms regions with rare natural beauty, creates forests and ends on a delta, which is one of the most important Greek wetlands. 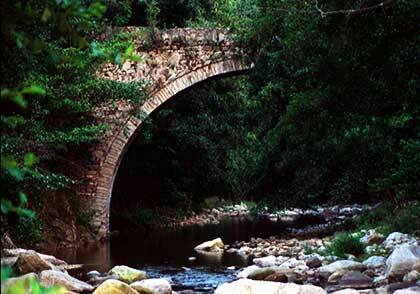 Its forest and aquatic ecosystem is protected by the Ramsar Convention and belongs to the network NATURA 2000. The river enters Greece in the region of Drama, between the mountains of Orvelos and Western Rhodope, and continues as a natural boundary between the regions of Drama and Xanthi and then of Kavala and Xanthi. It passes through the beautiful valley that has its name – Stena (Straits) of Nestos - irrigates the plain of Xanthi and ends in the Aegean Sea opposite the island of Thasos. There, it creates a beautiful riparian forest, which for the most part, unfortunately, has been lost, and forms a large delta, which fortunately is still an important wetland. In most part, from the barrage Platanovrisi up to the Delta, we can descend by canoe or kayak. 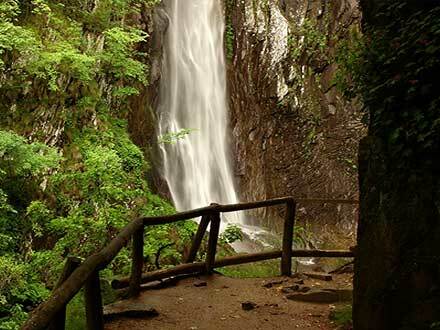 There are agencies that organize such trips, as well as mountain biking, horseback riding and hiking trails in the riparian forest of the delta, in the valley of Nestos and further north, up to Livaditis waterfalls and the forests of the Western Rhodope. The Straits of Nestos is a valley with a length of 17 km, traversed by the river Nestos from Stavroupoli to Toxotes of Xanthi. The meandering river and the majestic slopes, steep, but overgrown, create an enchanting region. The valley has an area of 23,800 acres and is protected as aesthetic forest, offering shelter to 500 species of flora and 210 species of fauna. We can enjoy its beauty, either crossing the river by canoe, or following the path from the site of Galane, near Toxotes, one of the most beautiful hiking trails in Greece. Great is the passage of the Straits by train. In the settlements of the region there is accommodation, as well as places for coffee and refreshments and good food. The Nestos Delta is spread over an area of 550,000 acres, from New Karvali up Abdera, and is a protected wetland and a part of the national park of the area with the lakes Vistonida and Ismarida. In the area is the famous Great Forest (Koca Orman), a beautiful riparian forest, which was once the largest in the Balkan Peninsula and one of the largest and finest riverside forests of Europe. Its total area was 125,000 acres, which in 1940 had decreased to 72,000. During the 1950s it was deforested and now covers only 4,600 acres on both sides of the river. It maintains, however, its rare natural beauty with rich flora and fauna and provides refuge to 300 species of birds and many mammals, while in the lagoons of the Delta live several species of fish. On the west side of the Delta, the debris from the river and the sea currents have formed small lagoons – Vassora, Eratino, Aghiasma, Kokala, Keramoti and Monastiraki – while on the eastern side there are areas with dunes, interrupted by wetlands. We can go either from the east, from the area of Erasmio of Xanthi, either from the west, from the region of Keramoti of Kavala. Information Center of Nestos Delta, Keramoti, tel. : 25910 51831. Information Center of the Riparian Forest of Nestos, tel. : 29462 74646. In the coastline of the region of Xanthi spread beautiful sandy beaches, with shallow waters and easy access. Organised beaches with bars and water sports facilities are in the settlements Erasmio, Mangana, Myrodato, Abdera and Mandra (Aghios Ioannis and Porto Molo). Many and varied events are held during the year in Xanthi. Three periods stand out, one in winter, one in summer and one in autumn. 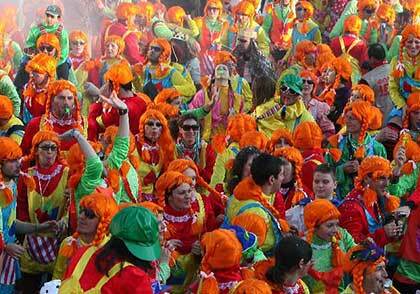 February: Folk Festival - theater, concerts, dance groups and more. Focus the famous Carnival, which attracts the interest from all over Greece. Choral Festival dedicated to Manos Hadjidakis. June: Youth Festival - theater, music, dance, painting and more. September: Feast of Old Town - music, outdoor taverns, book exhibitions and painting and other activities.